Johnny and his team of legals have gathered more than two dozen witnesses to stand and testify against his estranged wife, Amber Heard. Depp even obtained a secret photo to defend himself against Amber’s domestic violence charges. Johnny Depp, who is now 53 years old, was seen in Ibiza, awaiting and (maybe) preparing himself to face his estranged wife in court. Depp’s lawyers are armed with the photo that has not been seen before, and 24 witnesses who are ready to tell the court that Amber is lying when she talks about Johnny brutalizing her repeatedly. 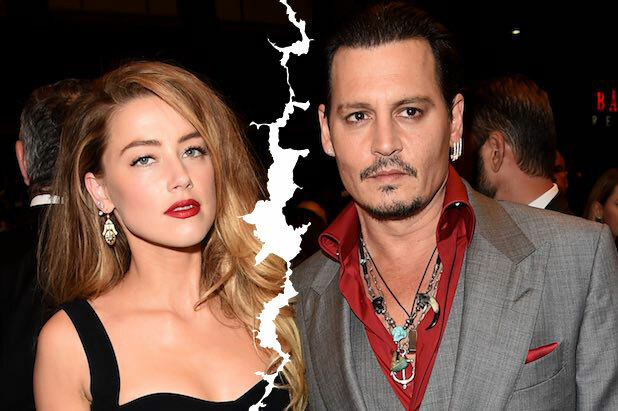 Amber Heard who is 30 years old, filed divorce papers against Johnny after only 15 months of marital “bliss”. This was done only a few days before she claimed Johnny threw an iPhone at her face and brutalized her in the process. Among the two dozen witnesses, two of them are the officers who responded to the 911 call at Depp’s residence. They are going to testify that there was no bruising on Amber’s face at the time and nothing was broken in the house when they entered. Concierge workers and security guards from the building are also on the witness list and they will testify that they saw Amber a week after the 911 call. The estranged couple’s housekeeper will also testify about the state of their home after the alleged row. Depp’s legal documents, including the photo, is being kept top secret for security reasons. However, it is clear that they are going to use exhibits of the dog smuggling case to prove Amber is a liar when she claimed not to know about the law in Australia.